This past fall I spent time with a guest prior to arrival addressing his questions about “fine dining” in the Mid-Coast, Maine area. Our guest was planning this trip for five couples traveling together. I booked reservations at a few great area restaurants and then I recommended a visit to a lobster pound. I said that in my opinion dining at a lobster pound is what I call “fine dining” along the midcoast. It was early October so I suggested mid afternoon. 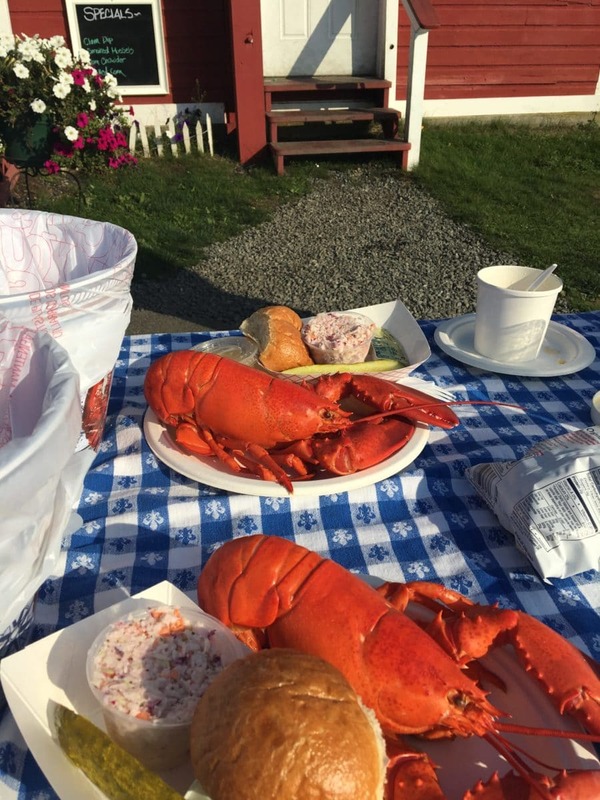 There are a number of really great lobster pounds nearby in Mid-Coast, Maine: Millers Lobster, (a family-owned restaurant located in the fishing village of Spruce Head along Mid-Coast, Maine. ) McLoons Lobster pound, (a family owned Maine lobster shack located on Spruce Head Island, across from the area’s oldest working lobster wharf.) Muscongus Bay Lobster Pound, (a family owned and operated wholesale and retail Maine lobster business located on scenic Round Pond Harbor in Round Pond, Maine.) Shaws Lobster Pound. (Shaws, a rustic lobster shack in New Harbor overlooking the scenic harbor, serving lobster rolls, fried clams.) After some discussions, I suggested McLoons Lobster Pound as it was near by. We provided the group with a small cooler bag for their wine, that included a tablecloth, glasses, silverware and bottle opener. McLoons graciously set aside a table since they were a large party. They had a wonderful time, lobster right out of the bay, ocean views and sunset. After returning to Timbercliffe they agreed with me that a visit to Mid-Coast, Maine should definitely include a trip for “fine dining” at a lobster pound.